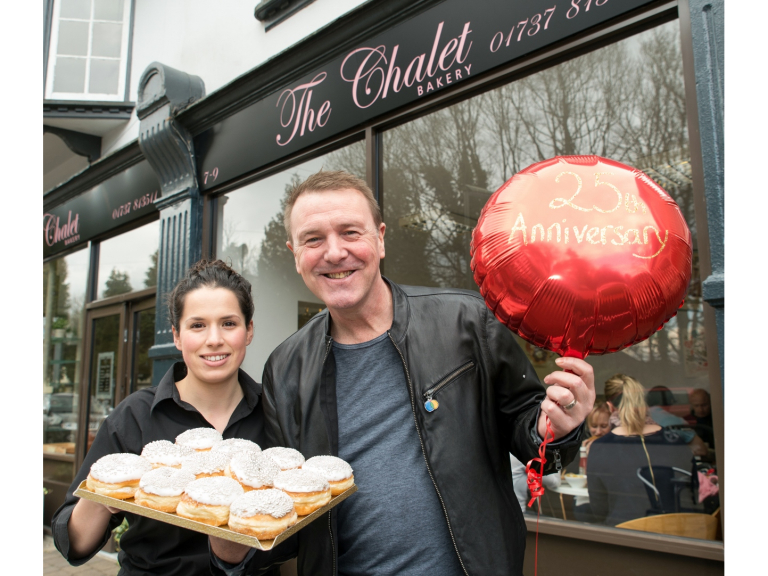 Phil Tufnell dropped into the Chalet Bakery, Tadworth, earlier this month to sample some delicious silver-themed doughnut treats, in the lead-up to National Doughnut Week, which is celebrating its 25th anniversary next month. 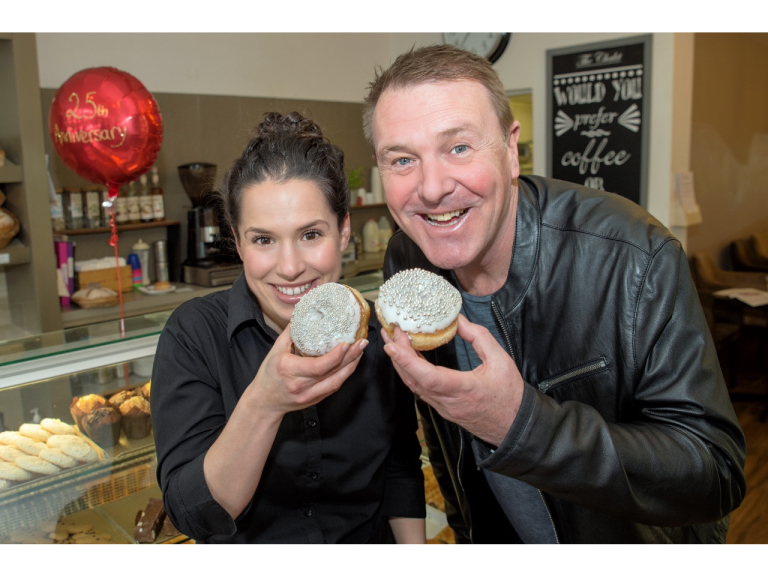 National Doughnut Week, which raises money for The Children’s Trust, will be taking place from 7th-14th May 2016. 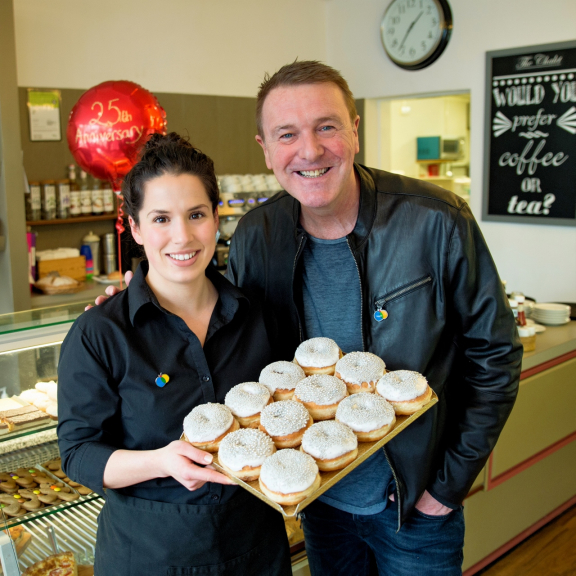 You can get involved and help raise funds in a number of different ways for The Children’s Trust, the UK’s leading charity for children with brain injury.